Vatican City, May 7, 2018 / 10:18 am (CNA/EWTN News).- The ongoing crisis in Venezuela has produced a tremendous flow of emigration, with thousands fleeing the instability and hyperinflation under Nicolas Maduro’s socialist government to seek refuge in neighboring countries. 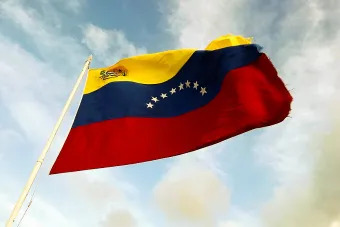 Venezuelans who choose to leave their country, as with any migrant, face a plethora of obstacles, risks, and unknowns, including an increased number of neighboring nations closing their doors, as well as the danger of falling victim to traffickers. In a bid to help host countries support the influx of their Venezuelan neighbors and provide migrants the resources they need to integrate into their new countries, the Vatican’s office for migrants and refugees has partnered with eight South American bishops’ conferences in launching a project aimed at providing this support. Titled “Bridges of Solidarity,” the project was presented May 7 by the two undersecretaries of the Vatican’s migrant office – part of the Dicastery for Promoting Integral Human Development and is overseen by Pope Francis directly – Fr. Michael Czerny, SJ, and Fr. Fabio Baggio, as well as Fr. Arturo Sosa, father general of the Society of Jesus and himself a Venezuelan. The office is partnering with the bishops of Colombia, Brazil, Ecuador, Peru, Chile, Bolivia, Paraguay, and Argentina. The project is in line with the 20 actions points drafted by the Vatican’s migrant section as part of Pope Francis’ 4-step plan for assisting migrants and refugees: to welcome, protect, promote and integrate. Services offered through the project, which is designed to run for 24 months, include the building of centers and shelters for migrants; assistance finding housing and jobs; the facilitation of access to education and healthcare; advocacy and legal assistance; professional training of pastoral workers and awareness campaigns aimed at sensitizing local communities to the needs of migrants and the risks they face. Funding, according to Fr. Baggio, happens partially at a local level, but the dicastery also helps in seeking support from private donors and partnerships. As a refugee himself, Czerny said one of the biggest areas they want to address helping migrants to have access to good information, thus lowering the risks they face along the way. 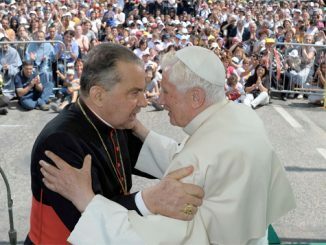 “I don’t think there’s a better example of where the Church, throughout [the continent] can cooperate so that as people undertake these difficult journeys and that they are supplied with good information all along the way,” he said, referring to the new project. In comments to CNA, Czerny said migrants generally lack two key areas information, the first being the practical “what do you do when…” info, as well as answers to questions about what a migrant should do when they arrive to a bus station or shelter, and what to say and not to say. Compounding the issue is the fact that many see the issue as something chaotic, assuming that it would be difficult to get the right information to migrants in the first place. Pope Francis has often been outspoken about the issue of trafficking. He addressed the topic again, speaking specifically about the problem of false information, in a video message to the Second International Forum on Modern Slavery, taking place May 5-8 in Argentina, published May 7. The pope said slavery is not something of the past, but is a grim reality for many men, women and children throughout the world. According to Fr. Czerny, the problem of prostitution, to which the pope was likely referring, is the biggest area of trafficking that migrants fall victim to. Pope Francis said that enforcing stricter laws are not enough, but the root causes must also be addressed, such as poverty, violence, and corruption.